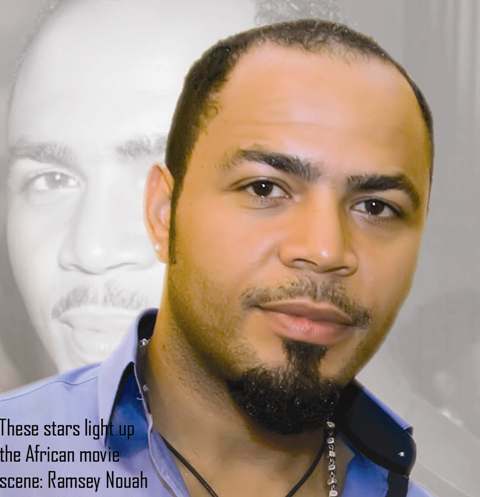 Nigerian super actor Ramsey Nouah sustained severe injuries and missed death by the whiskers during the shooting of a new movie in Ghana. According to reports, the actor crash-landed on a concrete floor when he fell from a building whilst trying a stunt on a movie set in Kumasi. Though official medical reports are not yet available, it is feared the actor might have suffered internal bleeding as he reportedly complained of acute waist pains while medics attended to his blood-filled mouth. He was on the set with top actors Nana Ama McBrown, Beverly Afaglo, Roslyn Ngissah, Nana Hayford and a number of accomplished actors shooting a movie titled ‘Hotel Babylon: Where Clothes Are Naked’, directed by Kobi Rana, when the incident occurred. The movie was extensively shot in Kumasi at the Senator Hotel at Tanoso. The accident attracted crew members and director Kobi Rana, who immediately rushed to his side for fear of the unexpected. Information indicated that Ramsey could not immediately get up on his feet as he remained on the floor for some minutes. The set had to break to allow him to recover, but after 30 minutes, he told the director he could continue with the shooting. It is not clear if Ramsey is still in town, but he reportedly moved to Accra this week. Efforts to get him to deny or confirm the rumours proved futile. Also, calls placed to director Kobi Rana did not go through.